What is a Spork ? 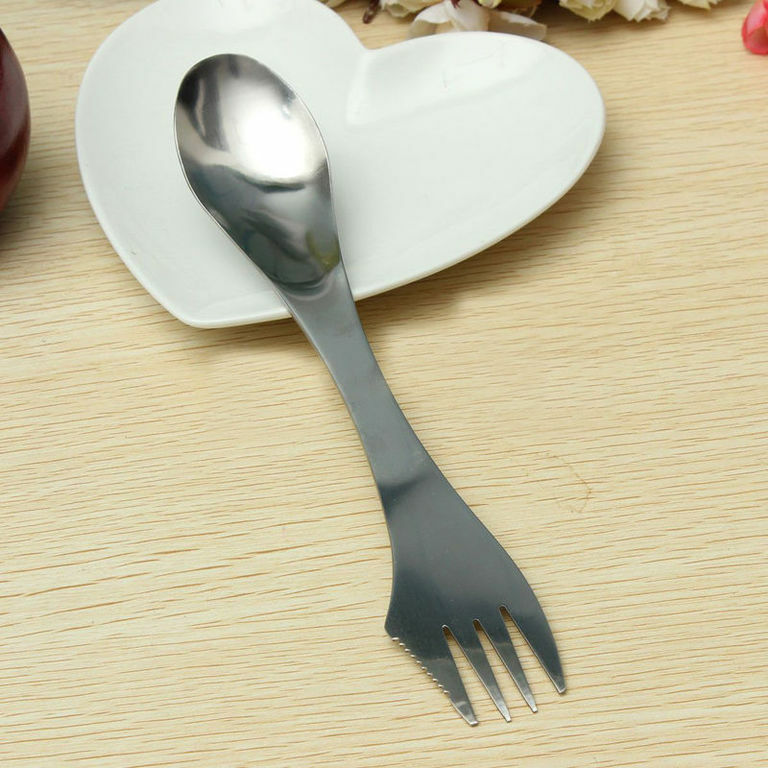 A 3 in 1 utensil made up of Fork, Spoon and Knife. 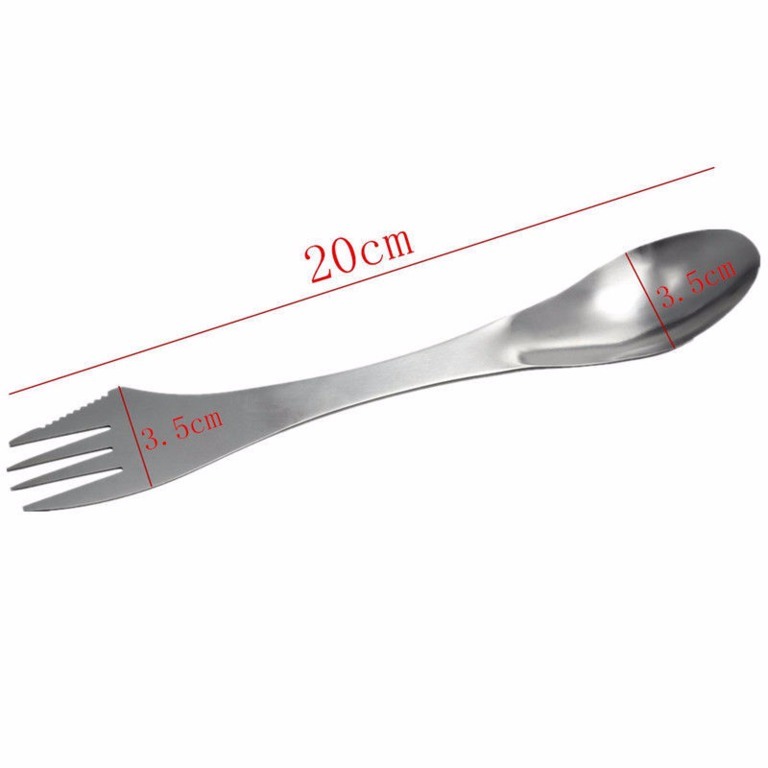 Why you should buy a stainless steel spork? Very easily to carry - pop one in your handbag, laptop bag, car glove box, drawer at work. Ideal for everyone who buys a takeaway lunch, those that love the outdoors, camping, hiking. It is much better for your health . Our sporks are BPA FREE! Plastic cutlery can be toxic and contain BPA and Polystyrene, linked to brain and behavioural problems, and harmful effects on the nervous system. It is much better for the environment. Say NO to single use disposable plastic cutlery. Say YES and switch to a reusable stainless steel spork. Plastic pollutes! See here for more details. Use your reusable spork knowing you are not adding to the vast amount of plastic in landfill, on the beach or to the plastic marine tide. Easy to clean - dishwasher friendly. Food tastes much better on stainless steel rather than plastic - well we all use stainless steel cutlery at home don't we? They do look rather elegant! Be an eco-trend setter show you really care about your planet and its future. Show you are happy to make one small conscious lifestyle switch. The spork is is very giftable. Makes a very cool, original, unusual and useful gift . Makes a great gift for your environmentally and health conscious friends. Keep one ready 'just in case'. Great to have with you when out and about - ideal for those impulse purchases of fish and chips or chinese! So as not to add to the pollution problem the sporks are sent in minimal, earth-friendly, recyclable packaging. Price of item includes P & P. If you live in York and want to pick up in person, contact us for a discount. All items are sent out by second class post and should take 3-4 days to arrive. Why not buy a few for family and friends? If you require express delivery please contact us before ordering.